Timberland is taking it back to 1994 with the release of the iconic World Hiker this Friday, and given the limited supply, the opportunity to snag up the classic boot won’t last long. Part of Timberland’s 40th Anniversary LTD Collection, the 2013 World Hiker features the same Vibram 1360 outsole as the original version, but comes with an updated Buckram Waterproof leather upper to bring it up to today’s all-weather standards. 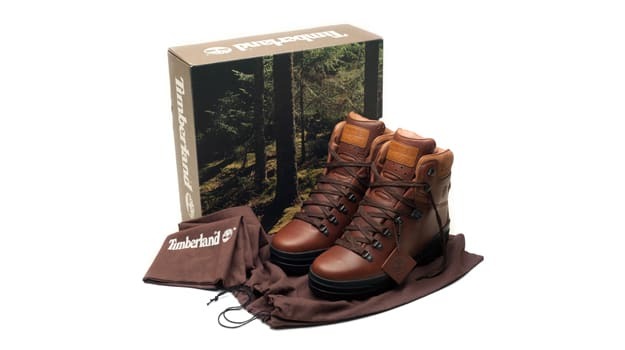 Timberland plans to release all but 1,973 pairs of the boot, and each one will be numbered on the inside of the tongue. This limited run of the World Hiker is the first since 1998, and there’s no telling when it will be rereleased in the future. In other words, don’t sleep on this one. Again, the boot drops Friday, October 25, 2013. The suggested retail price is $250.